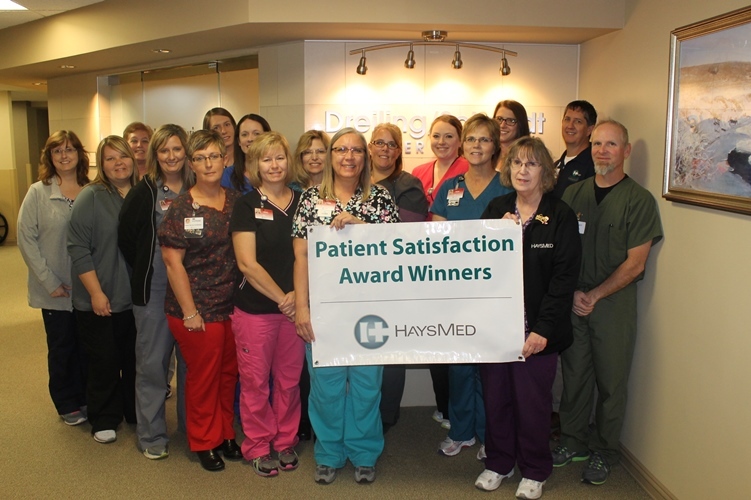 Hays, Kansas (October 25, 2016))—The Cardiac Progressive Care Unit (CPCU), Dreiling/Schmidt Cancer Institute, Environmental Services and Outpatient Rehabilitation were recently named the patient satisfaction award winners for the third quarter of 2016 at HaysMed. CPCU had the highest in-patient overall rating for the third quarter of 2016. Their unit score was 82.1% and that puts them at the 83rd percentile. This exceeds the hospital goal of the 75th percentile. Their top performance areas on the survey included providing written discharge instructions, courtesy/respect of nurses and nurses listening carefully to patients. 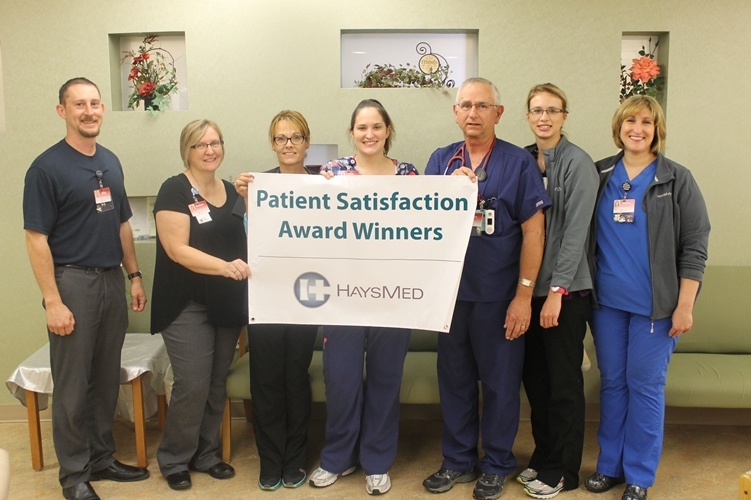 Environmental Services was recognized as one of the many ancillary departments that help support patient satisfaction in the hospital. 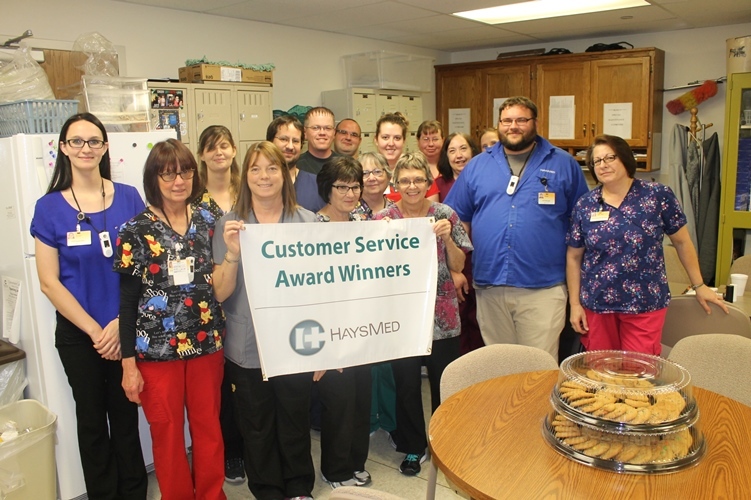 This is the first time HaysMed has recognized an ancillary department with this award. For the third quarter of 2016 the inpatient cleanliness score was 80.4 % which is the 72nd percentile. The outpatient cleanliness score was 79.7% which is the 79th percentile. In addition in our recent DNV survey they were recognized for the cleanliness of the hospital for the patient areas, public areas and even the storage areas. The surveyors noted they had never seen a cleaner hospital. 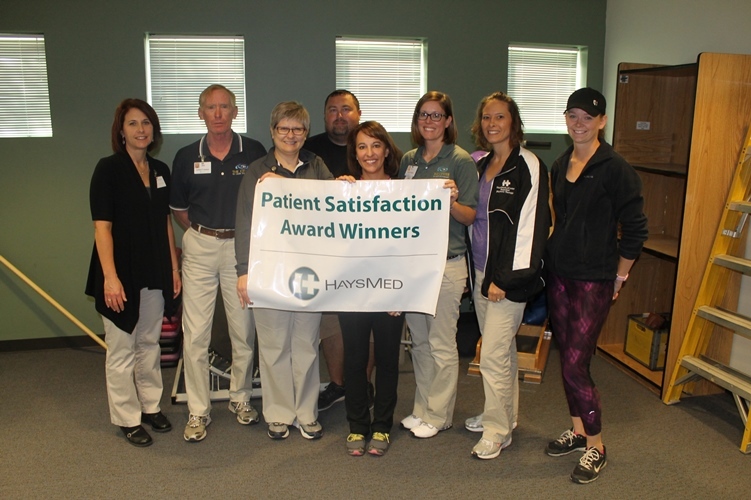 Outpatient Rehab was recognized as the out-patient area with the highest patient overall rating for the third quarter of 2016. Their overall rating was 91.7% and that puts them at the 93rd percentile. This exceeds the hospital goal of the 75th percentile. Their top performance areas on the survey include patient involvement in treatment plan/goal setting, amount of time spent waiting at the facility and the ability to schedule visit on a convenient day and time.